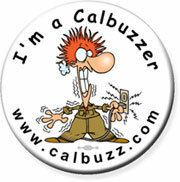 Calbuzz has refrained from attacking the pathetic performance during the 2012 presidential campaign by some of the biggest names in polling, like Gallup, Rasmussen and Newhouse. And although we gently suggested ways in which the Republican Party ought to reform itself in order to become relevant, we have generally avoided calling Mitch Romney’s campaign professionals on the carpet. But after seeing Romney strategist Stuart Stevens’s Bizarro World op-ed piece in the Washington Post and reading the New Republic’s exclusive look at Neil Newhouse’s dunderhead polling for the Romney campaign, we feel compelled to squawk. As we noted before, it was perverse that Romney should run so far to the right in the primary, on issues like immigration, that getting back to the middle during the general was impossible. That’s because one of the guys managing Romney’s campaign – Stuart Stevens – had managed Steve Poizner, the losing candidate in California’s 2010 GOP governor’s race primary. He saw first-hand how the primary winner, Meg Whitman, slit her own throat in California’s general election. But what does Stevens take away from his staggering mismanagement of Romney? “Republican ideals — Mitt Romney — carried the day” because he won among white middle-class voters – the only voters who ought to matter. In a TV interview Stevens said the Romney campaign didn’t do a good enough job reaching out to Latinos and women. To which we say, hey, don’t sell yourself short. You did a bang-up job of reaching out to Latinos and women – telling Latinos to self-deport themselves and women to slap on chastity belts. If all those women, blacks, Latinos, Asians and young people hadn’t voted, Romney would have won. How dare those pseudo-citizens muddy the waters for real Americans? Who do they think they are? What right do they have screwing up our strategy? 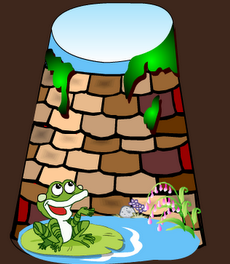 The Frog in the Well: Which brings us to Romney’s pollsters (and the aforementioned Gallup and Rasmussen), who were shocked, stunned, astounded and flabbergasted when it turned out that their model of the electorate was based on their own narrow vision. They are like Chuang-tzu’s frog in the well who thinks the world and the sky are no bigger than the mouth of the well. While this doesn’t explain all of Team Romney’s polling errors – they were off in predominantly white states like New Hampshire and Iowa, for example – but it’s the fundamental miscalculation they made and it perfectly reflects the world view of the candidate and his campaign. Turns out father didn’t know best. BTW: In case you missed it, our hero, Nate Silver has a few choice words for Politico and their unique brand of so-called reporting, here at Talking Points Memo.